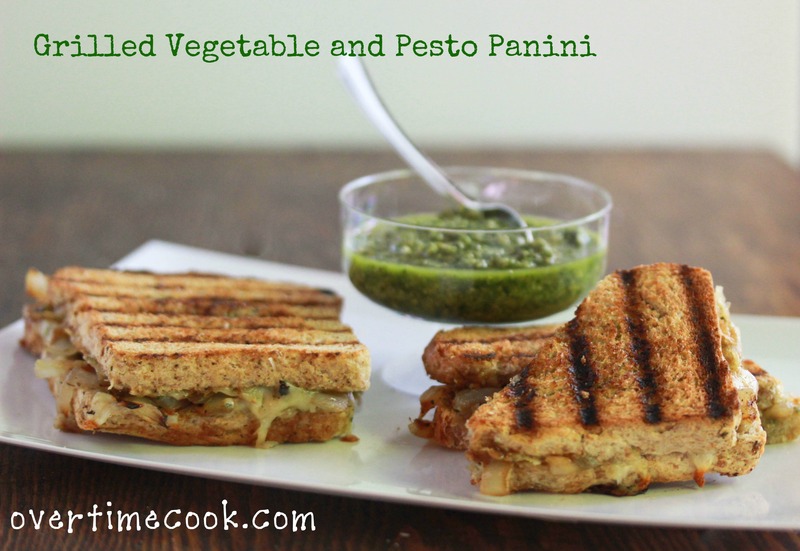 Grilled Vegetable and Pesto Panini is a healthy and summery lunch that only takes minutes to prepare! As someone who writes recipes, I often wonder what the line is between basic cooking instructions and a recipe. Take last night’s supper for example. I found a nice looking zucchini in my veggie bin, so I sliced it, tossed it with some olive oil, kosher salt, black pepper and minced garlic and stuck it on my grill with a chicken breast. Voila- supper. Let’s be honest though- does anyone need a recipe for that? Does anyone actually measure out the salt before tossing it on their zucchini? So obviously that is super basic, but what about the things that are just a bit more complicated? When does something cross the line over to the “recipe” department and deserve to be written up into its own awesome little post? I think this sandwich is very borderline. I actually measured it, which was difficult for me, because things like this aren’t usually measured. At least by me. If you need measurements, go ahead. If you’re like me, ignore them and just make something in the general direction of this sandwich. Either way, it’s delicious and you can’t go wrong! Remember how I posted that delicious basil pesto recipe a couple of weeks ago? Well go make that first, then come back here and make this. Watch out though, you might get obsessed with this like I did. To grill the vegetables: Heat your panini press (or Sandwich maker!) and spray with oil. Slice the vegetables and sprinkle with salt and pepper. Grill on your panini machine until the vegetables reach desired done-ness. Remove from machine. 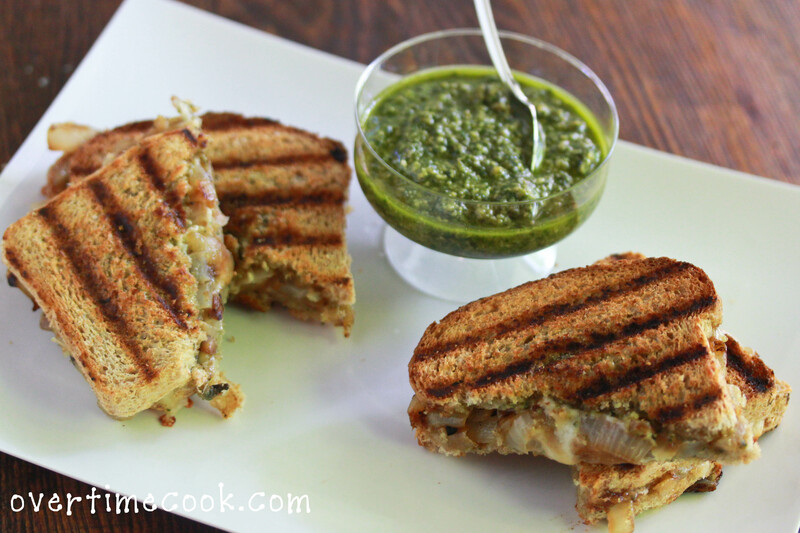 To make Panini: Spread a tablespoon of pesto on each slice of bread. Form sandwiches with half of the grilled vegetables and half of the cheese on each. Grill on medium until lightly browned. This looks so great!!! I love anything with pesto!!! 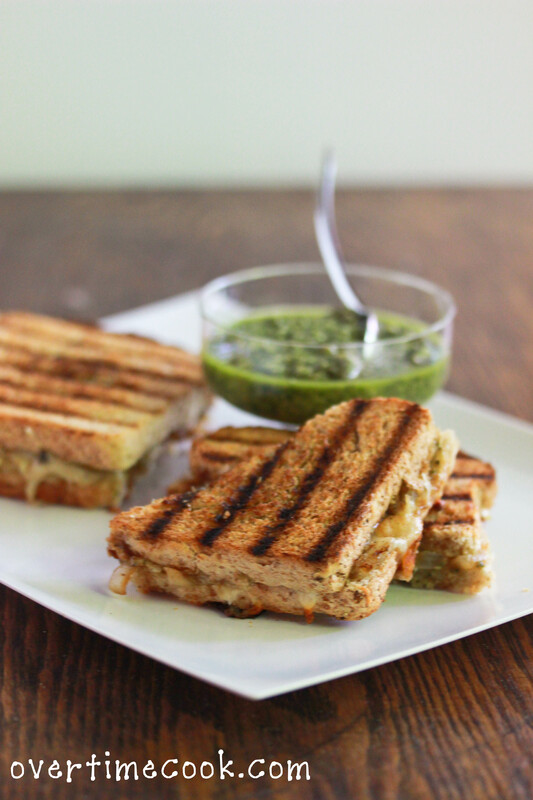 Adding your homemade pesto to the panini is a great idea. Can imagine how flavourful it made the sandwich. Hmm, I never had pesto in a sandwich before. Sounds like something I need to try. Yum – so simple, but it looks delicious 🙂 and people may not always need a recipe as such, but you’re still giving them inspiration!